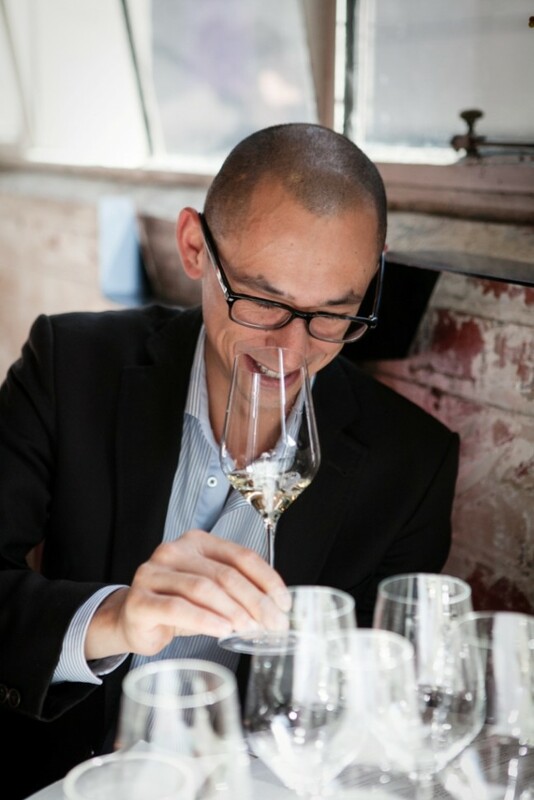 I am currently part of the wine team at Rosetta Ristorante, Melbourne; working alongside David Lawler as Beverage Director, and Ashley Boburka. It’s maybe a little cheeky, but my current workplace, Rosetta. I was motivated to join the team after dining there with David Lawler. In his words, the pastas are ‘profound’. When a dish can transport you to the place in Italy where it was conceived, while sitting in a dining room 9000 miles away, there is little more a chef can do. Couple this with decadent surroundings and professional staff, it’s a no brainer for me. I am always thrilled to visit Vinoteca, Smithfields/Farringdon whenever I’m home in London. They have such a broad and ever changing collection of wine. You think you know a little about the world of wine, but every time I visit them I realise that there is a lot to learn! I am blown away by their honest and humble approach to communicating wine. Their well chosen list of wines highlights the diversity of wine from all over the globe – sometimes I need to be coaxed away from drinking Burgundy all the time! Their understated knowledge and willingness to share it with humility is something I admire. To be perfectly honest it was at a small bistro in Porto near the Casa de Musica. There were no Michelin stars in sight. A true to form, honest and simple restaurant with a very large char-grill that most things were cooked on. I don’t remember the name, it may not have had one. When I think about the most memorable meals I have had it tends not to be because of the food or wine enjoyed, but the company and the reason I was there. That story is almost always more important and can change my enjoyment of the meal more than the quality of the establishment itself. Yu-U on Flinder’s lane is my go-to. Miho and her husband Yoshiko run a tiny Japanese restaurant in a stylish minimalistic basement. Miho’s endearing personality in the front and Yoshiko’s top notch skills in the back in so many ‘specialised’ areas of Japanese cuisine never disappoints me. I love the fact that they have a tiny kitchen, which means that almost everything is prepared on that day. I once watched him make soba noodles, which he does daily, and was in awe of his speed and skill. Miho’s knowledge of sake is excellent and her pairings are spot on. I cook at home a lot and often have wine dinners that are more a collaboration than a meal I wholly prepare. I think my cured ocean trout is pretty tasty. I use a little Sambuca, beetroot, coriander seeds, black pepper and lots of herbs; finished with thinly sliced fennel. It’s a good dish as most of the work can be done well in advance. The City Wine Shop (159 Spring Street, Melbourne). Everything from crisp beers outside, to the finest/rare wines of the world. They seem to have everything. Whenever I purchase wine I try not to be swayed by my personal relationships with the merchants themselves. However, I have found that Bibendum import a lot of wines that are close to my heart. They have great relationships with many Burgundy producers which I admire and have visited such as Ghislaine Barthod and Domaine Ponsot. I am studying wines from Montalcino at the moment and tend to be drinking as many as I can afford. Brunello di Montalcino has a nobility that marries power and elegance seamlessly. 2006 JF Coche-Dury Meursault AC. My first Coche. I felt like I lost my virginity that day! It’s not so much as a discovery, but a revelation to me. Damijan Podversic’s yellow/orange wines. I never thought I would enjoy these types of wines. Their wide application in food pairings really leads to some phenomenal experiences. 2011 Natacha Chave ‘Aleofane’ Crozes-Hermitage. In a blind tasting I found this wine speaks loudly of place and variety. Strong mineral tone, defined fruit and that quality hallmark of elegance with power. It’s relatively inexpensive for such a high quality wine. During a brief stint at Vue de Monde, I was particularly proud of pairing the Melbourne Onion Soup (a rich, sweet consommé-like onion soup garnished with Gruyere and onions in various forms and Macadamia nut gel) with Barbeito 5yr Verdelho Reserva Madeira. Just enough sweetness to match the soup; just enough biscuit oxy elements to cleanse the palate and bounce off the Macadamia nut gel; just enough alcohol weight to match the texture of the soup. The Côte D’Or may not have the most dramatic scenery, but for me contains excellent restaurants and the most inspiring vineyards in the world. A day in Chambolle Musigny: Breakfast in the Bonnes Mares Vineyard overlooking the town; Morning at Ghislaine Barthod; Lunch at Le Chambolle; Dinner- 1985 Comte Georges de Vogüé Bonnes Mares.